We still do not know a whole lot about the current Apple TV project but according to a number of sources it looks like it will definitely be happening sometime in the coming year. Dozens of sources and analysts have predicted a 2012 release so Apple can continue building momentum and growing rapidly and now it looks like nearly everyone is in agreement. We don’t exactly know the details or specifications of the Apple TV system but what we can say is that it could be the future of televisions. 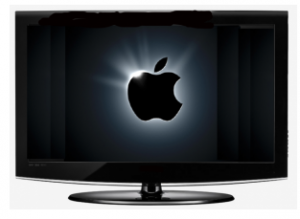 If Apple manages to truly improve on the current TV system Apple TV could become a model that everyone sets out to copy or beat just like the iPhone. We can not say for sure whether things will play out this way but Apple has been known to make some cutting edge products that inspire the masses.